To lula, thanks for the video but I hate those flashing lights and I don't know how the Royals and the Hollywood stars stand the flash bulbs. Their world is different from ours. How can their children cope and become self-supporting if junior children? 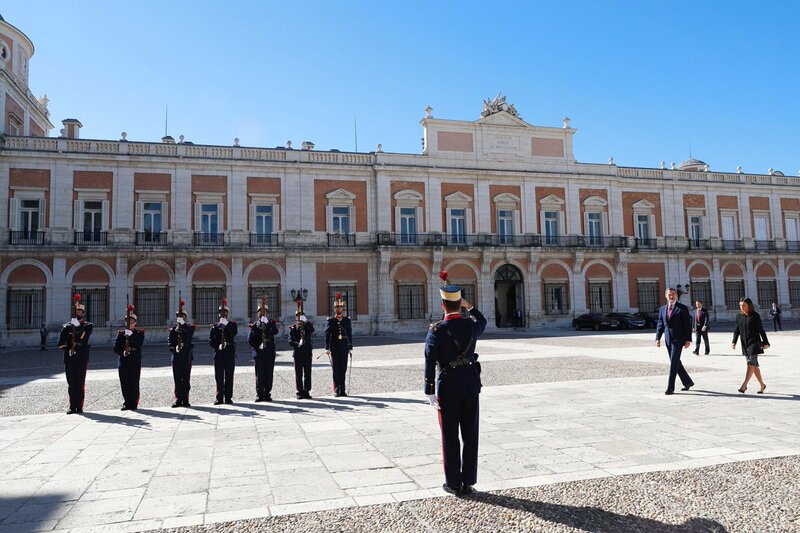 Posts regarding the attendance of the King and Queen at the 1st Anniversary Memorial of the 2017 Barcelona Attack have been moved to the designated thread. 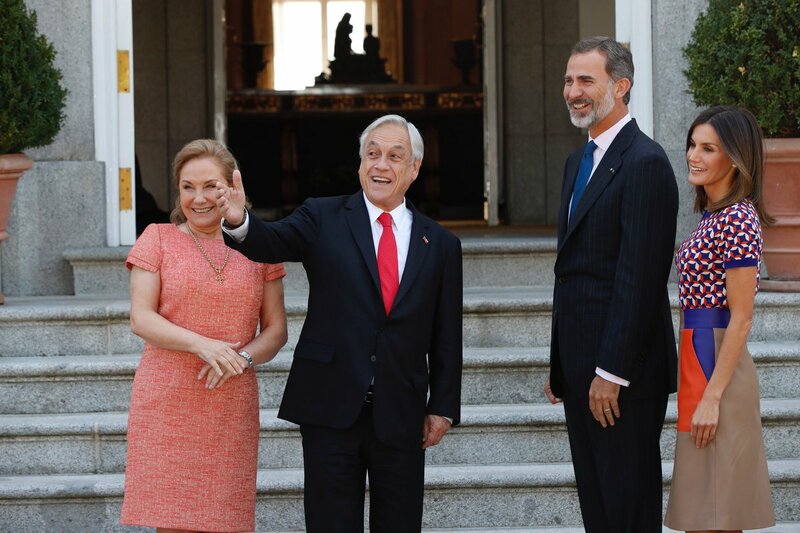 Today, September 18, King Felipe and Queen Letizia attended a ceremony marking the 30th anniversary of the signing of the Magna Charta Universitatum at the University of Salamanca and they visited the Spanish Centre for Pulsed Lasers in Villamayor de la Armunia, Salamanca, and launched the "VEGA-3" petawatt laser. 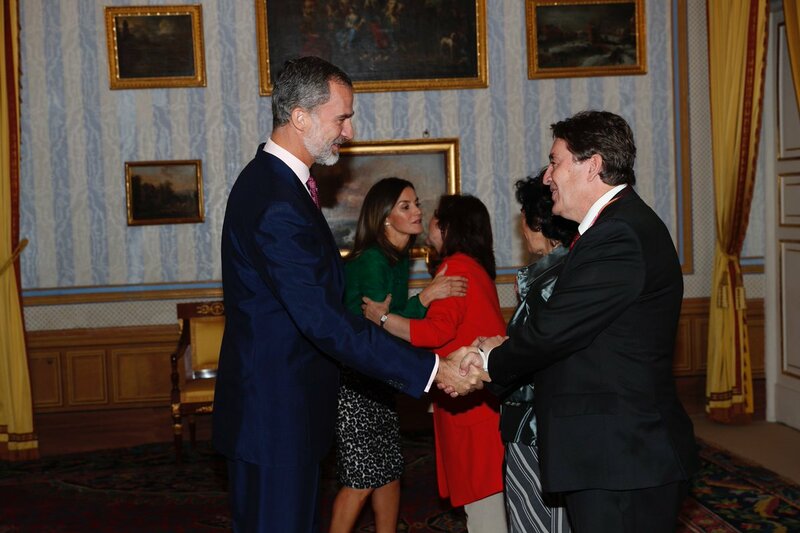 King Felipe and Queen Letizia attends at the inauguration of the 2018/2019 season of the Teatro Real, which will begin with the performance of the opera "Faust", by Charles Gounod. Here are a few more photos from this evenings Season opening at the Teatro Real in Madrid. A few more photos of the King and Queen at the Grand Palais in Paris from yesterday. 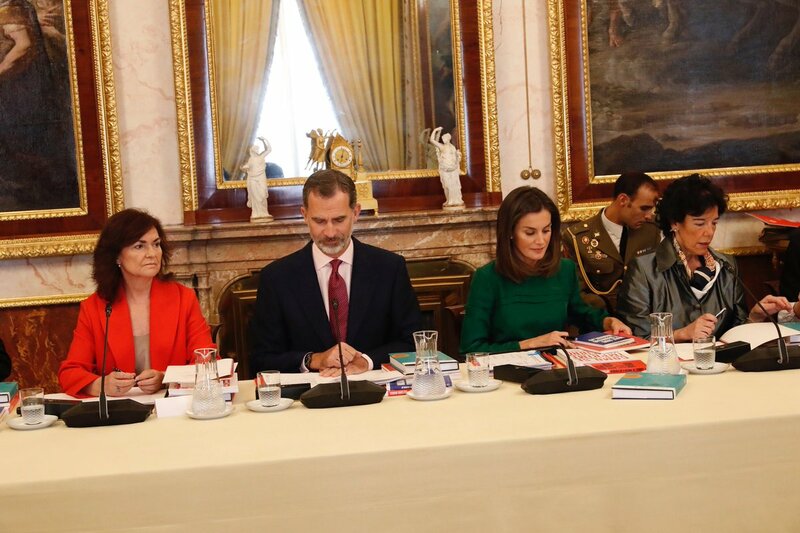 Today, October 8, King Felipe and Queen Letizia attended the annual meeting of the Board of Trustees of the Cervantes Institute in Madrid and a lunch with the Trustees and the Ibero-American Ambassadors in Spain. Here's a video of The King and Queens visit to Llorenc des Cardassar in Mallorca.